Discover the stunning sights of the Top End. 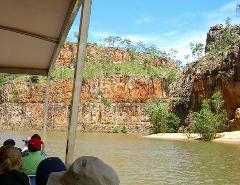 Join the famous Jumping Crocodile and Yellow Water Billabong Cruise, view ancient Aboriginal rock art at Ubirr and Nourlangie then cruise through the glorious Katherine Gorge and Edith Falls. 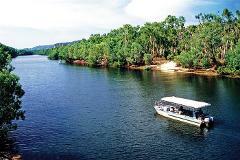 An incredible Top End itinerary — It ticks all the boxes and more! Explore 3 different National Parks (Kakadu, Katherine & Litchfield ) on a 4 day adventure, including adventurous and at time difficult walks, canoeing and lots of swimming.